Fun with Robot Tug of War! 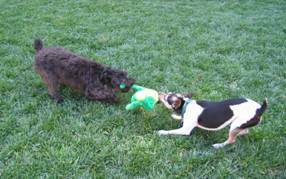 Have you seen dogs having a tug-of war? Humans have fun doing this too – it was an Olympic sport between 1900 and 1920. 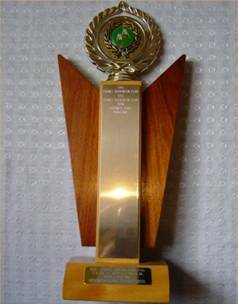 Carnivals often feature Tugs-of-War – this is the Port Cygnet Fishing Carnival Tug-of War Trophy that you can see by visiting the Cygnet Living History Museum in Southern Tasmania. Can we make our robots have a Tug-of War? We will not stick to official Robot Tug-Of War rules, we will just have some fun finding out how to make a strong robot. What sort of robot would you use for a tug-of war? Any robot will do, provided we make it strong so it does not fall apart during the tugging. How would you program your robot – fast or slow – straight or crooked? Have a go with your robot now. If any part of a robot crosses the centerline, or any part comes off a robot, that robot loses that round. After being started, a robot must wait at least 5 seconds before moving. If, after 1 minute, no robot has crossed the centerline, the round is to be considered a draw. A robot must win 2 out of 3 trials. In the case of a draw, where neither robot is successful in pulling the other across the line, the winner is determined by holding a tie-breaking round. In this round, the winner is determined by measuring the distance of each robot from the centerline at the end of the time limit. The robot closest to the line loses. But how you run your contests is up to you and your teacher/mentor – make up your own rules if you like! You could also build different types of Tug-of War robots that might be better than our present ones. Would your robot be better if you made it heavier or lighter? Would it be better longer or shorter? Would it be better wider or narrower? Would it be better taller or shorter? Would it be better with 1, 2 or more motors? Would the ones like those below be better? Would more or less wheels be better? In fact, do you need any wheels at all? 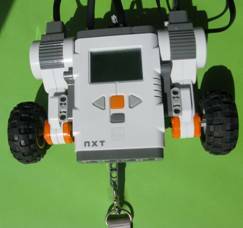 Start building your Tug of War robot now!